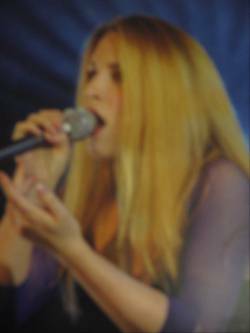 Jenn Stang a hot blonde singer that has a vocal style comparably with Sarah McLachlan. Jenn Stang’s song has tranquil lyricism, engaging short drum beats and good guitar rave-ups. Jenn’s captivating energy and mastery of the piano can create a calming ambience. She has a voice that is enthralling and has a European-indie-rocker appeal. Notably, Jenn Stang’s songs entitled Zenith and Whatever You Do will light up a room and attract everyone closer to the stage. Also, Jenn Stang has a self titled album, “Jenn Stang.” Remarkably, track number 5 and 6 is relaxing, “lounge-y” and harmonized with great back-up vocals. Jenn Stang’s vocal style is a breath of fresh air breezing through the Philly local rock scene.